In a report issued on May 9, 2015, the World Health Organization (WHO) declared Liberia to be Ebola-free. The last laboratory confirmed Ebola victim was buried on March 28, 2015. Liberia was most affected by the recent outbreak, which, according to the WHO, was the most complex and prolonged outbreak in the last 38 years. 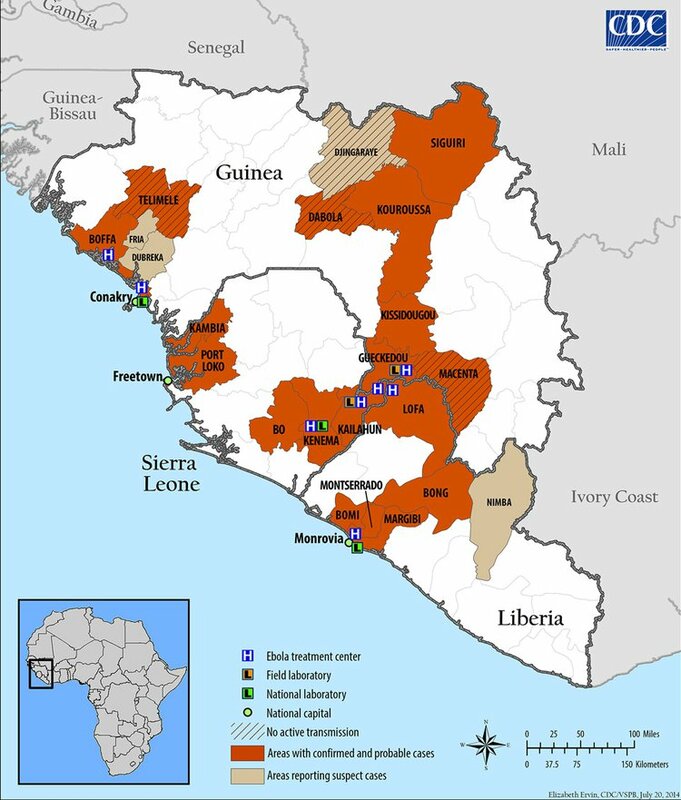 In August-September of 2014, the Ebola virus infection was at its peak in Liberia. During this time, 300-400 new cases were reported every week. The worst affected was the capital Monrovia, although cases were reported from every part of Liberia. The conditions were so bad that there were no hospital beds available for Ebola patients anywhere in the country. Infectious cases and patients remained in homes and communities. Liberia feared that Ebola would become endemic to the region and remain a health hazard on a permanent basis. The Liberian government, local doctors, aid workers, the communities, and international assistance have all been credited in bringing the number of cases to zero. Along with elation comes a niggling worry: although Liberia is declared Ebola-free, Sierra Leone and Guinea are still reporting new cases. In the week of May 3, 2015, these neighboring countries reported 9 cases each. With porous borders, the risk of infected people crossing over to Liberia still remains a threat. The Liberian government remains on high alert. Additionally, as reported by DoveMed, several problems persist in Ebola survivors. With the recent finding that the Ebola virus could reside in the inner eye of survivors months after being declared Ebola-free, and the knowledge that the virus lurks in the sperm of survivors, continued vigilance would be required as the country gets back to normalcy.